With cold severe weather moving in, we're keeping track of what you need to know as it arrives. Below, we'll keep a live blog to let you know when rough weather hits and what impact it's having on the region. 7:43 p.m. Tornado watch canceled for Upson, Chattahoochee and Stewart counties. The watch continues for Marion, Schley, Taylor and Webster counties until 10 p.m. However, the storms are still moving quickly in Jasper County near Monticello as the line moves into Putnam County. People in the area should expect 40 mph winds and heavy rain. 6:58 p.m. Tornado watch canceled for Coweta, Fayette, Harris, Heard, Meriwether, Muscogee, Pike, Spalding, Talbot and Troup counties. The watch continues for Upson, Chattahoochee, Marion, Schley, Stewart, Taylor and Webster counties until 10 p.m.
6:40 p.m. Roughly 2,300 power outages reported west of Brookhaven in Fulton County. 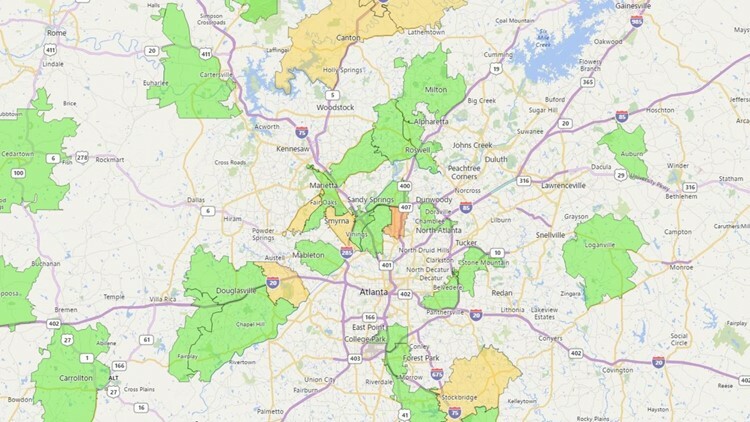 About 900 outages reported in Cobb, 800 in Cherokee, 860 in Douglas and 650 in Henry. 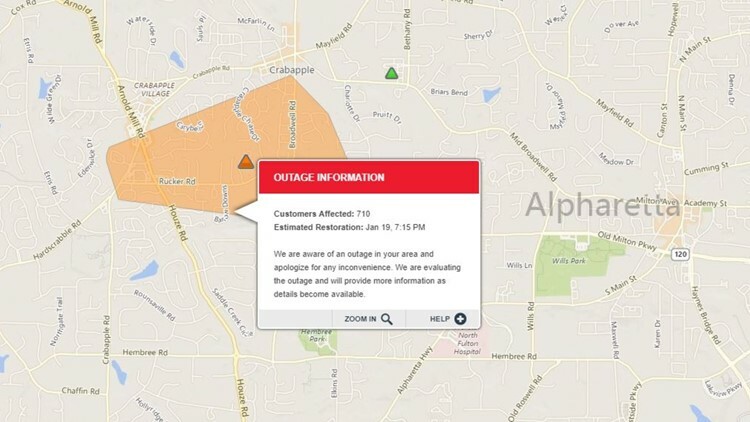 6:12 p.m. 710 customer-reported power outages near Alpharetta with an estimated restoration time of 7:15 p.m. according to Georgia Power. 5:44 p.m. Over at Georgia Tech, the webcam overlooking the city shows - not surprisingly - dark low clouds over the city. 5:23 p.m. Chris Holcomb provides an update on the weather, which has already caused confirmed tornadoes in Alabama, as it moves into west Georgia. 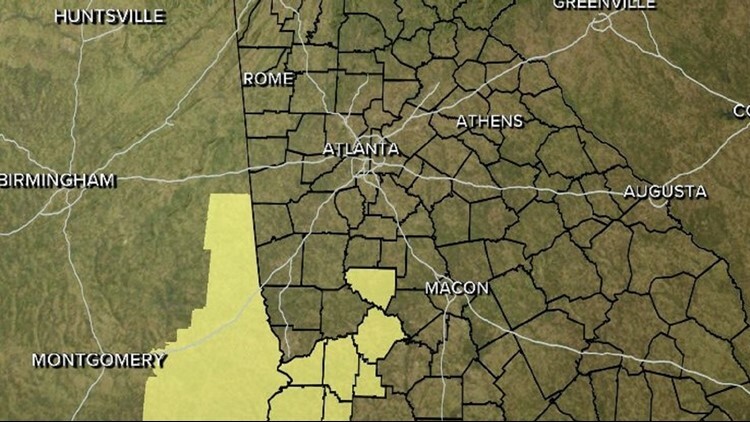 4:34 p.m. Tornado watch issued for Chattahoochee, Coweta, Fayette, Harris, Heard, Marion, Meriwether, Muscogee, Pike, Schley, Spalding, Stewart, Talbot, Taylor, Troup, Upson and Webster counties until 10 p.m. The watch means conditions are right for tornadoes to form.